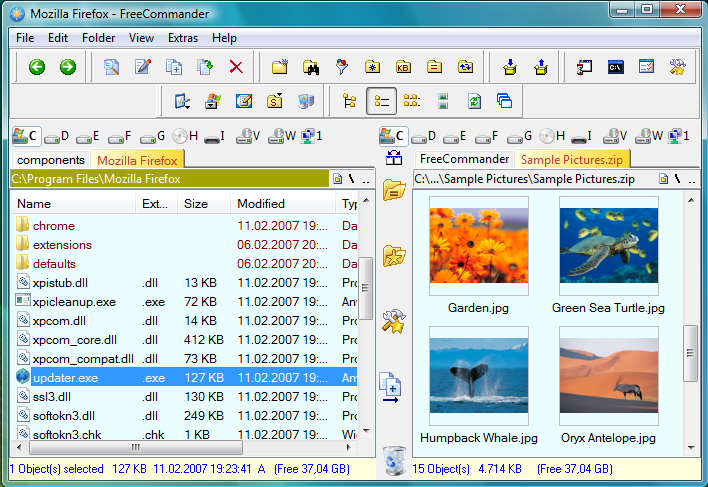 Description: It is a dual-pane file manager which is more powerful than Windows Explorer. It has a built-in file viewer to view files in hex, binary, text or image format. It has built-in archive handling ability for ZIP (read, write), CAB (read, write) and RAR (read). It supports calculation of folder size, folder comparison/synchronization, file search and filtering etc.